Earn $17.52 in Rewards credit (1752 points) What's This? 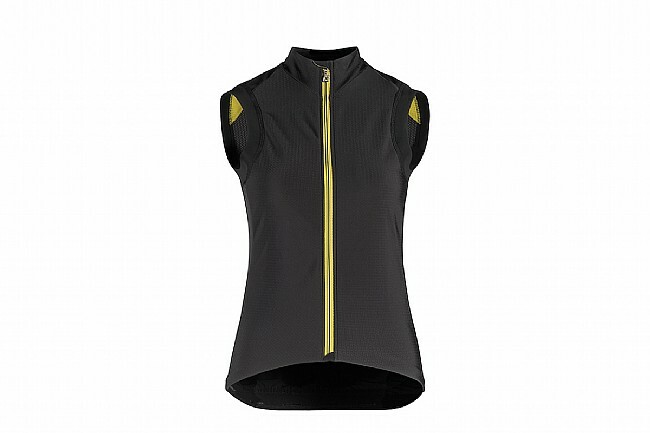 Until the launch of this tiburuGilet Laalalai women’s cycling vest one could argue that Assos haven’t catered for the entire cycling arsenal of female riders, but this vest proves they’re continuing to make major inroads. With a female-tuned cut and signature Assos high performance design, this insulating vest has strategic body-mapped insulation and mobility where necessary. Building on the ever-popular Assos falkenZahn, this handy vest for female cyclists is so much more than your run-of-the-mill cycling vest. 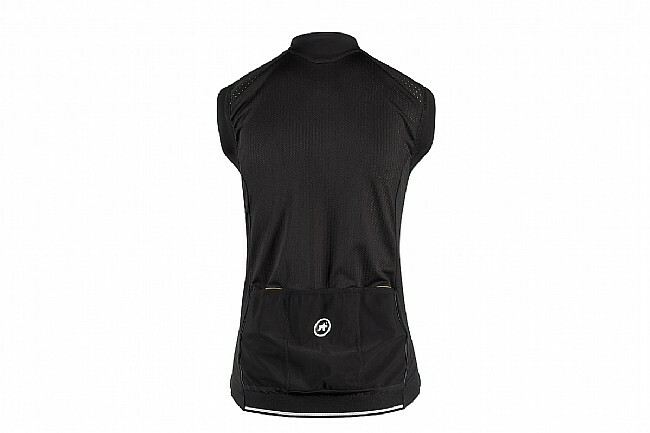 Taking design cues from its lauded male predecessor, this female sleeveless riding top is both more breathable and more packable with revised side panels, lighter shoulders with reflective piping and a lightweight rear made from the same high-performance fabric used in the équipe jersey. The front panels are constructed with Assos' twinDeck foil to bear the brunt of bad weather, and the vest has a specific cut to prevent unwanted bunching when the pockets are full. You’ll thank Assos for the presence of the new easy-use cam lock zip and welded bottom seam, which add smoothness and reduce friction. But what does all this technology mean to you? It’s a vest that’s crafted to keep you warm during chilly mornings and cool descents, as well as ensuring you won’t overheat when the sun gets up or you start attacking those Strava QOMs. Insulated, windproof thermal cycling vest with women's-specific cut and design. twinDeck construction combines RXQ and Tibet fabrics, providing breathable, thermal protection. Stabilizator S7 Knit on back offers improved breathability without compromising the stability. Sens Tex reflective stripes at shoulders improve low-light visibility. Triple Ramp concept pockets are strategically placed for secure and comfortable storage. Chest 30"-32" 32"-34" 34"-36" 36"-38" 38"-40" 0"